We can say with almost 100 percent certainty that your next phone will run Android or iOS. How? Because Google and Apple now enjoy a duopoly in the smartphone market, with Android and iOS boasting a combined market share of 99.6 percent. Everyone else may as well pack up and go home. 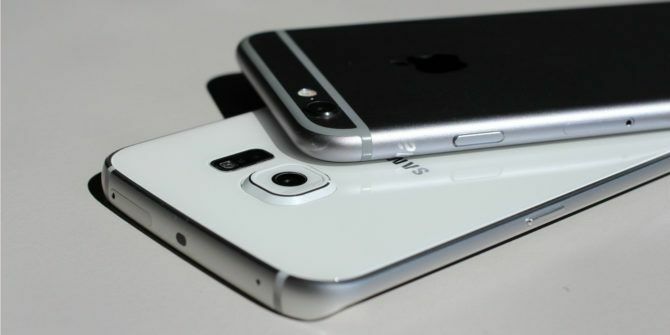 Gartner has released its latest sales figures for smartphones. And they paint a picture that will haunt anyone looking to break the duopoly currently enjoyed by Google and Apple. Those two companies have essentially killed the competition, and are fighting it out for dominance. According to Gartner, in the fourth quarter of 2016, 432 million smartphones were sold worldwide. Of those, 81.7 percent ran Android, and 17.9 percent ran iOS. Which, when combined, covers 99.6 percent of the market. Leaving just 0.4 percent for everyone else. Everyone else means Windows, which accounts for 0.3 percent of the market, and BlackBerry, which accounts for 0.0 percent of the market. The other 0.1 percent is split between operating systems not even worth naming. And no, that’s not a typo, BlackBerry couldn’t even muster 0.1 percent. See, we told you BlackBerry was dead BlackBerry Is Dead in All But Name BlackBerry Is Dead in All But Name BlackBerry once made phones everybody wanted to own. Now, BlackBerry is dead in all but name, with Chinese electronics manufacturer TCL acquiring the BlackBerry brand. Read More . It should be noted that while this is a duopoly, there’s still a definite pecking order within that duopoly. With 81.7 percent of the market Android is way out in front. But then Apple is the one making all of the money due to its premium pricing and established ecosystem. So we’d hazard a guess that both companies are pretty happy with their lot. If we accept that competition is good — because it drives innovation and lowers prices — then these figures are bad news for consumers. Unfortunately, us consumers only have ourselves to blame, as we’re the people who chose Android over Windows Why I Quit Windows Phone And Switched To Android Why I Quit Windows Phone And Switched To Android In 2010 I bought my first Windows Phone device, beginning a love affair with the slick user interface and writing endless posts and user guides, generally evangelising the platform. So why have I switched to... Read More and iOS over BlackBerry. Have you bought a new smartphone recently? If so, does it run Android or iOS? Are you due to buy a new smartphone soon? If so, will it run Android or iOS? Is BlackBerry OS dead? Should Microsoft give up on Windows 10 Mobile? Please let us know in the comments below! Explore more about: Android, iOS. Competitions IS good... to a degree. Standardisation is equally important however. VHS won over beta because we needed a single standard. PCs won over Commodkres, Amstrads, TRS, and even Macs (sorry Mac people, but it's true) because we needed a standard. Cars have a standard set of controls and layout, so do aircraft. Nokia lost coz it stuck with Symbian, and now is coming back with Android. At a certain point, my phone/vcr/dvd/car/computer/etc needs to be able to do the same things as your phone in the same way, and TOO MUCH innovation kills that. Competition is good... but so are standards. I would love to buy a Windows phone, if only to see how well it works with my new Surface, but the apps I truly need, and cannot get along without, are not at all on Windows, or are so pathetically implemented that It just doesn't work for me. And since it seems that Windows on phones is so poorly represented, I can't see that situation changing. Bummer, really.